American singer-songwriter Meghan Trainor has recorded songs for two studio albums, two extended plays (EP), two live albums, three independent albums and guest features. Trainor self-released three albums: Meghan Trainor (2009), I'll Sing with You (2011) and Only 17 (2011). When she signed with Epic Records in February 2014, her three self-produced albums were pulled from circulation. Trainor's debut EP, Title, released in September 2014, was preceded by the single "All About That Bass". Musically, the EP has a throwback style sound with its 1950s doo wop-inspired songs straddling the line between modern R&B and melodic pop. Its lyrics contemplate 21st century womanhood. Her debut major-label studio album Title, released in January 2015, included the singles: "All About That Bass", "Lips Are Movin", "Dear Future Husband" and "Like I'm Gonna Lose You". She collaborated with other artists, including Chris Gelbuda, Jesse Frasure, John Legend and Shy Carter, for the album. Title was inspired by Trainor's love for throwback style records and music from the 1950s and 1960s. She combined different musical genres, including Caribbean, doo-wop, hip hop, soca and pop, for the album. Trainor has appeared as a featured artist on Charlie Puth's song "Marvin Gaye", and has contributed songs to soundtracks: "Better When I'm Dancin'" for The Peanuts Movie, and "I'm a Lady" for Smurfs: The Lost Village. Trainor's second major-label studio album Thank You, released in May 2016, included the singles: "No", "Me Too" and "Better". She created the R&B album in hopes to showcase her "Caribbean side" and her love for Aretha Franklin, Bruno Mars and Elvis Presley. Trainor released several songs in 2018, including the singles "No Excuses", "Let You Be Right" and "Can't Dance". Later that year, she released "Just Got Paid", a collaboration with Sigala and Ella Eyre featuring French Montana. Trainor and Eyre's vocals on the song received praise from some critics and were dubbed "poppy". Trainor's second EP, The Love Train, released in February 2019, included the single "All the Ways". 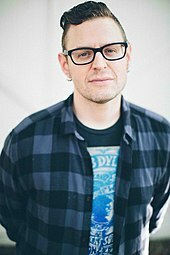 Kevin Kadish co-wrote eight songs on Trainor's album Title, and produced all of them. Trainor recorded "Baby, It's Cold Outside" as a duet with Brett Eldredge. Yo Gotti co-wrote and featured on "Better". Trainor co-wrote and featured on Fifth Harmony's song "Brave Honest Beautiful". 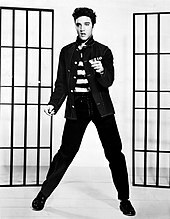 Trainor covered Elvis Presley's "Can't Help Falling in Love. Trainor appeared on a remix of CNCO's song "Hey DJ" and also co-wrote it. 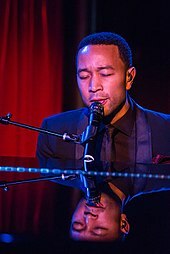 John Legend was featured on "Like I'm Gonna Lose You". Trainor was featured on Charlie Puth's song "Marvin Gaye". "Hold on to the Ones You Love"
"I'll Wake Up for You"
"Just a Friend to You"
"Learning to Say I Love You"
"Take Care of Our Soldiers"
"You Got the Best of Me"
^ Sullivan, Jim (August 30, 2014). "Meghan Trainor hits big time with 'All About That Bass'". Cape Cod Times. Archived from the original on December 25, 2014. Retrieved December 25, 2014. ^ Collar, Matt (September 9, 2014). "Title [EP] – Meghan Trainor". AllMusic. Archived from the original on February 9, 2015. Retrieved December 18, 2014. Erlewine, Stephen Tomas. "Title – Meghan Trainor". AllMusic. Archived from the original on April 18, 2015. Retrieved April 13, 2015. ^ Inocencio, Marc (November 11, 2014). "Meghan Trainor on 'That Bass' Success, Collaboration With Harry Styles". Ryan Seacrest. Archived from the original on November 13, 2014. Retrieved December 23, 2014. ^ Blair, Rudy (October 3, 2014). "Video: Meghan Trainor discusses upcoming album in Toronto". CFTR (AM). Archived from the original on September 24, 2018. Retrieved September 24, 2018. ^ Simpson, Dave (May 12, 2016). "Meghan Trainor: Thank You review — dance pop hurtles into romantic mush". The Guardian. Archived from the original on May 13, 2016. Retrieved May 12, 2016. ^ Garibaldi, Christina (January 7, 2016). "Meghan Trainor Has a Lot of 'Big Songs' on Her Next Album". MTV News. Archived from the original on December 12, 2015. Retrieved December 10, 2015. ^ Bruner, Raisa (September 7, 2018). "5 Songs You Need to Listen to This Week". Time. Archived from the original on September 8, 2018. Retrieved September 20, 2018. ^ Nied, Mike (September 7, 2018). "Meghan Trainor, Ella Eyre & French Montana Let Loose On Sigala's 'Just Got Paid'". Idolator. Archived from the original on September 20, 2018. Retrieved September 20, 2018. Collar, Matt. "Reflection – Fifth Harmony". AllMusic. Archived from the original on March 12, 2015. Retrieved April 13, 2015. ^ a b "Hey DJ – Single by CNCO, Meghan Trainor & Sean Paul on Apple Music". iTunes Store. Archived from the original on November 9, 2018. Retrieved November 9, 2018. ^ a b "Music – Marvin Gaye (feat. Meghan Trainor) – Single by Charlie Puth". iTunes Store. Archived from the original on April 16, 2015. Retrieved April 13, 2015. ^ a b c d e Trainor, Meghan [@Meghan_Trainor] (February 4, 2019). ".𝕋𝕙𝕖 𝕃𝕠𝕧𝕖 𝕋𝕣𝕒𝕚𝕟 EP💕 Coming Friday, 2/8 1. All The Ways 2. Marry Me 3. I'm Down 4. After You 5. Foolish 6. Good Mornin' (feat. Gary Trainor)" (Tweet). Retrieved February 4, 2019 – via Twitter. ^ "All the Ways – Single by Meghan Trainor". iTunes Store. Retrieved August 29, 2018. "I'll Sing with You – Meghan Trainor". AllMusic. Archived from the original on April 19, 2015. Retrieved April 13, 2015. ^ a b The Peanuts Movie (liner notes). Epic Records, Fox Music. 2015. ^ "Boys Like You – Who Is Fancy". AllMusic. Archived from the original on February 5, 2016. Retrieved May 18, 2015. ^ "Can't Dance – Single by Meghan Trainor". iTunes Store. Retrieved August 29, 2018. ^ "Hands – Various Artists". AllMusic. Archived from the original on October 26, 2018. Retrieved May 18, 2015. ^ I'll Be Home for Christmas (liner notes). Epic Records, Syco Entertainment. 2014. ^ Smurfs: The Lost Village (liner notes). Madison Gate Records. 2017. ^ "Let You Be Right – Single by Meghan Trainor". iTunes Store. Retrieved August 29, 2018. ^ "No Excuses – Single by Meghan Trainor". iTunes Store. Retrieved August 29, 2018. ^ Mele, Sofia (August 22, 2018). "Meghan Trainor Strips Down 'Let You Be Right,' Covers Sasha Sloan's 'Normal' For Spotify Singles". Billboard. Archived from the original on September 26, 2018. Retrieved September 26, 2018. ^ "Take Care of Our Soldiers – Single by Meghan Trainor". iTunes Store. Archived from the original on February 7, 2012. Retrieved June 8, 2015. ^ "Treat Myself – Single by Meghan Trainor". iTunes Store. Retrieved August 29, 2018. ^ Wass, Mike (November 19, 2018). "Festive! Meghan Trainor Drops A Cover Of 'White Christmas'". Idolator. Archived from the original on November 20, 2018. Retrieved December 24, 2018. ^ "Who I Wanna Be – Single by Meghan Trainor". iTunes Store. Archived from the original on May 4, 2012. Retrieved June 8, 2015.